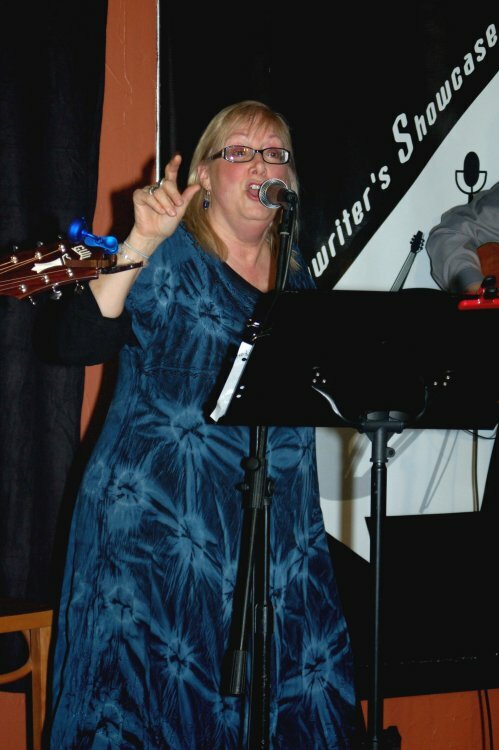 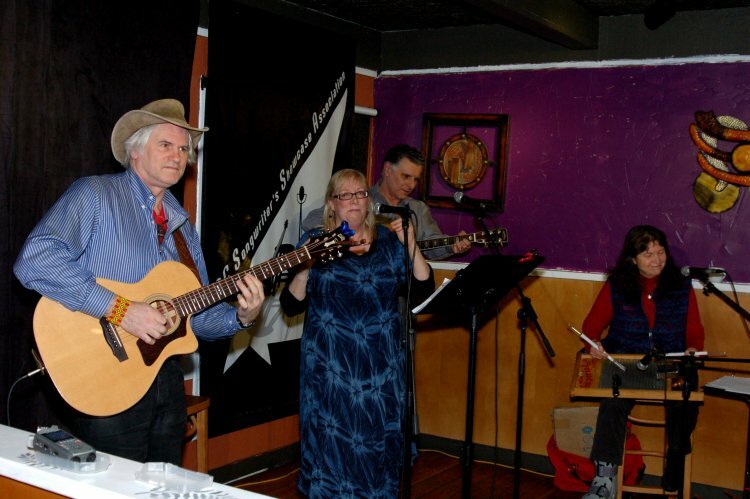 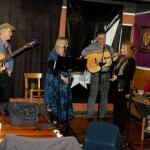 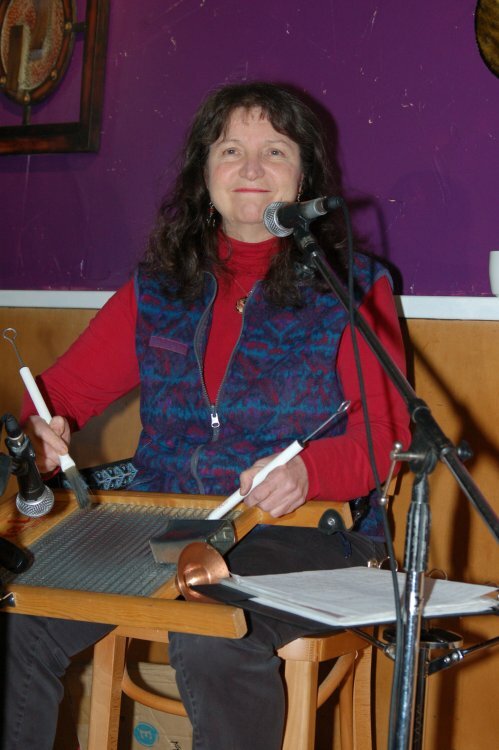 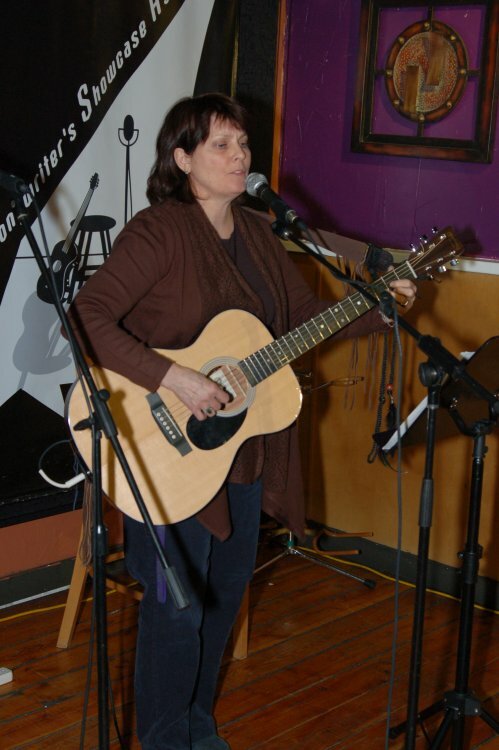 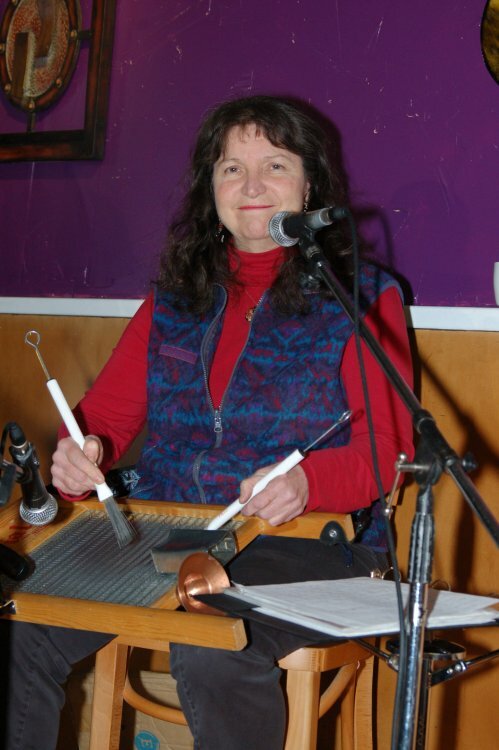 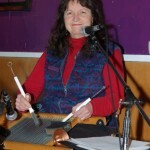 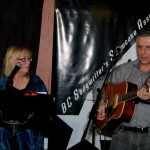 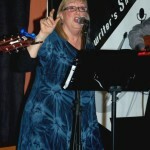 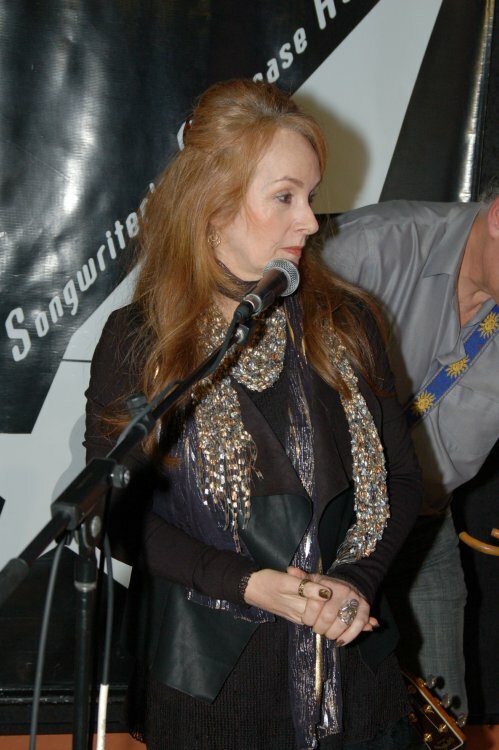 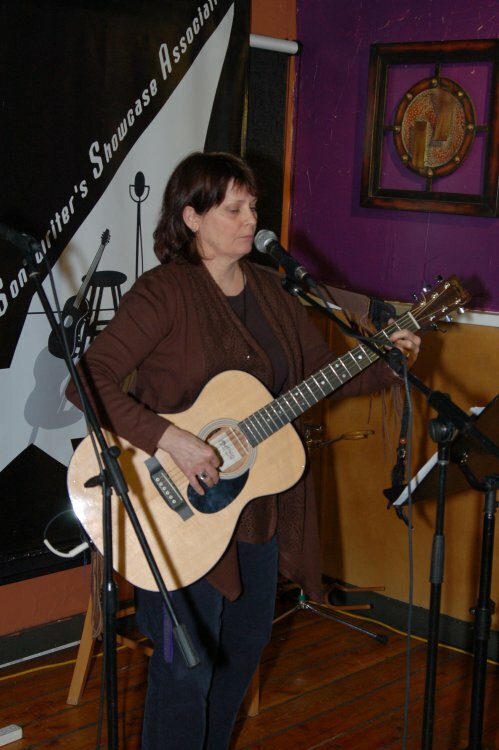 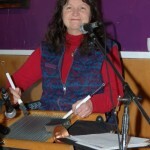 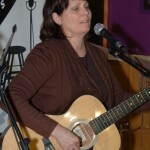 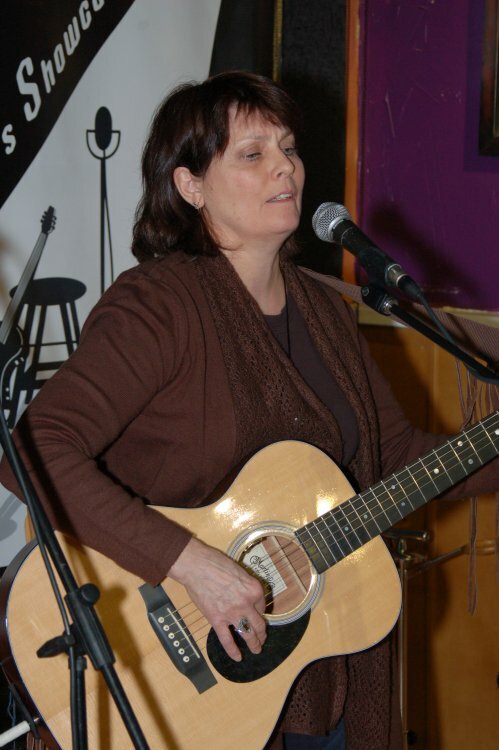 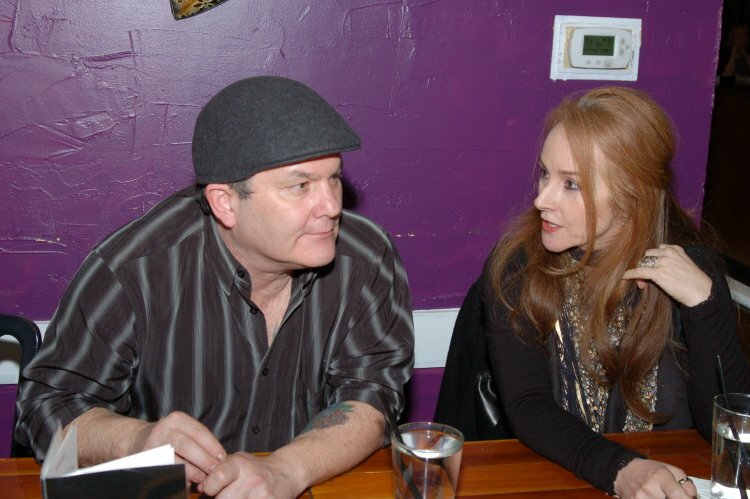 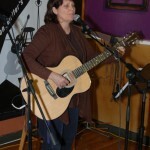 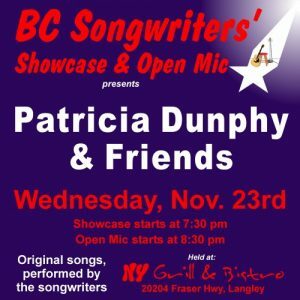 On Wednesday, Nov. 23rd, BC Songwriters is pleased to feature Patricia Dunphy & Friends. 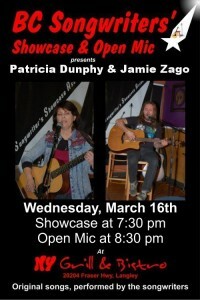 The Songwriter Showcase starts at 7:30 pm. 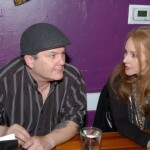 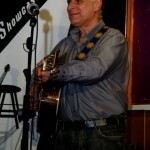 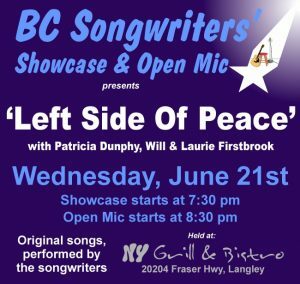 BC Songwriters’ Open Mic follows at 8:30 pm. 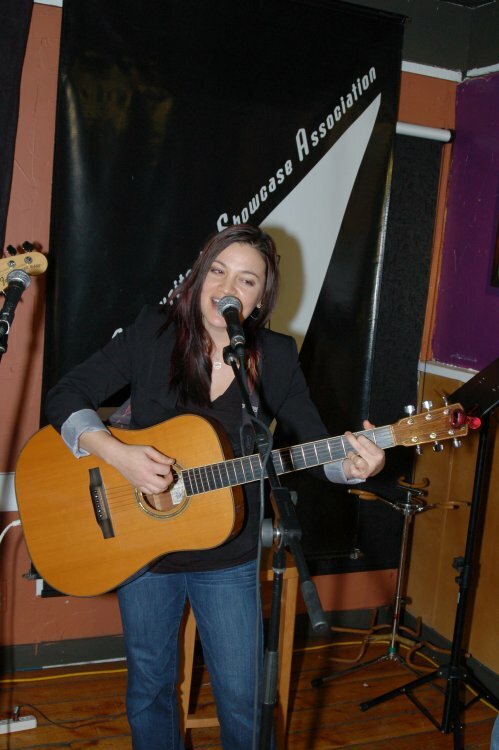 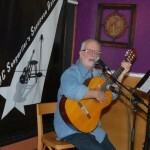 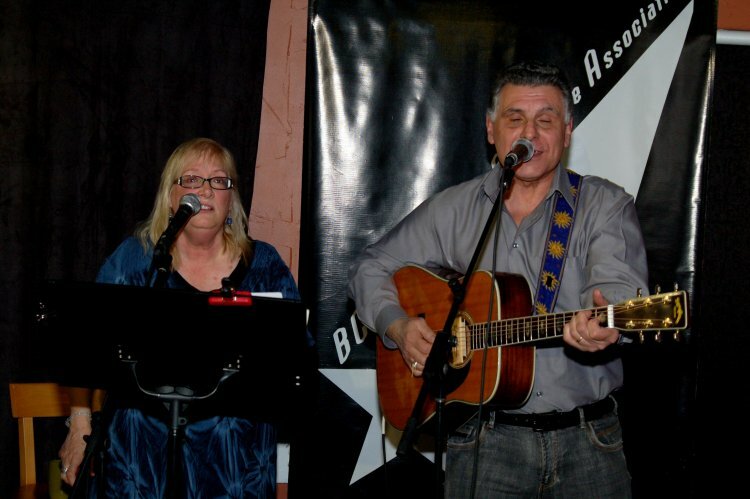 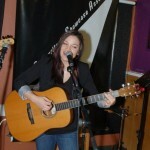 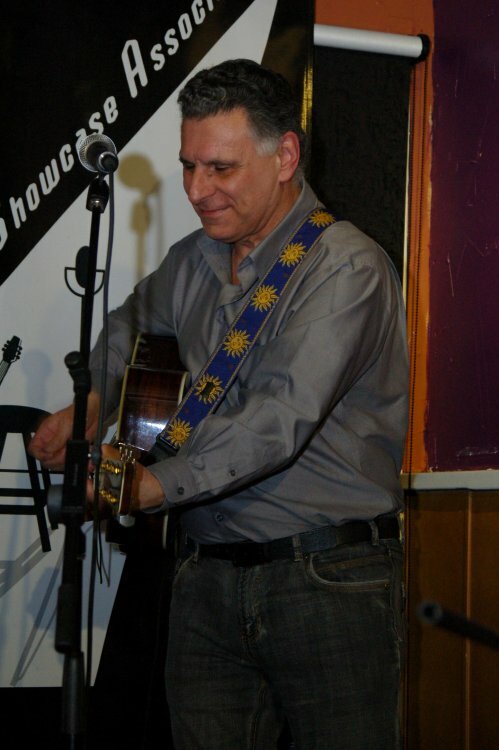 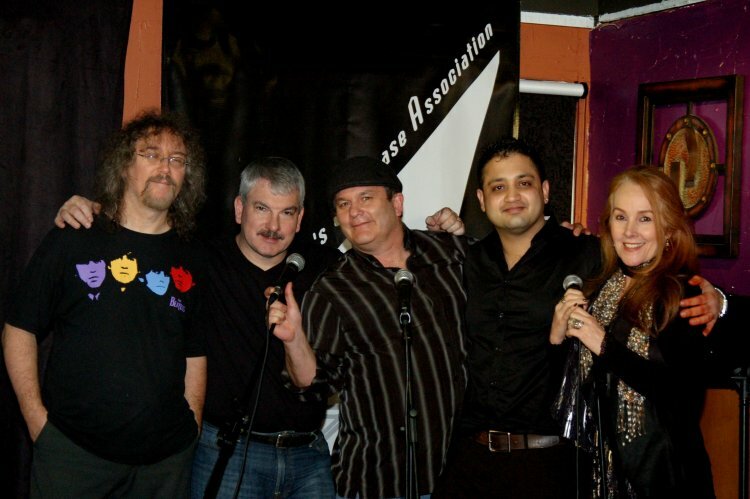 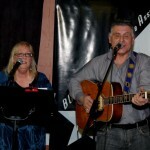 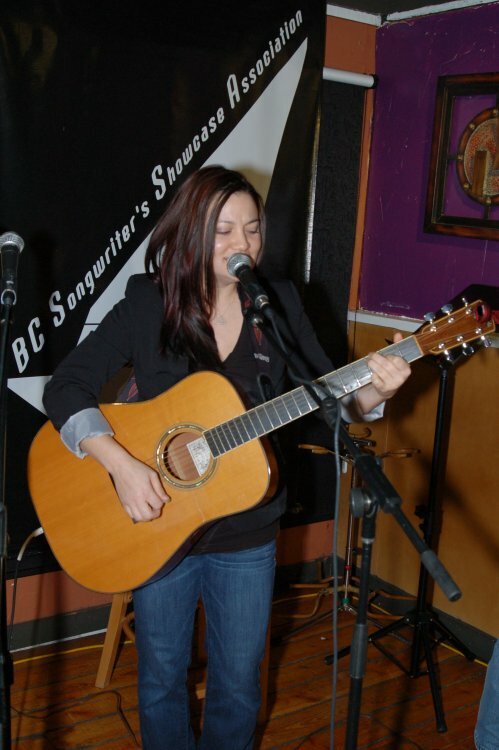 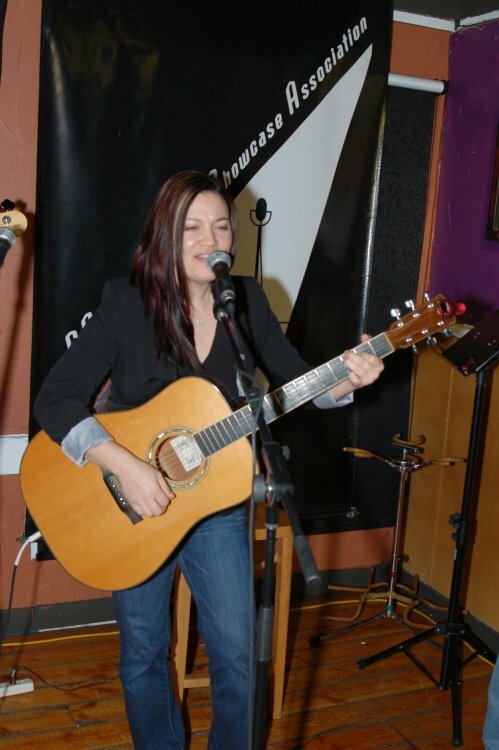 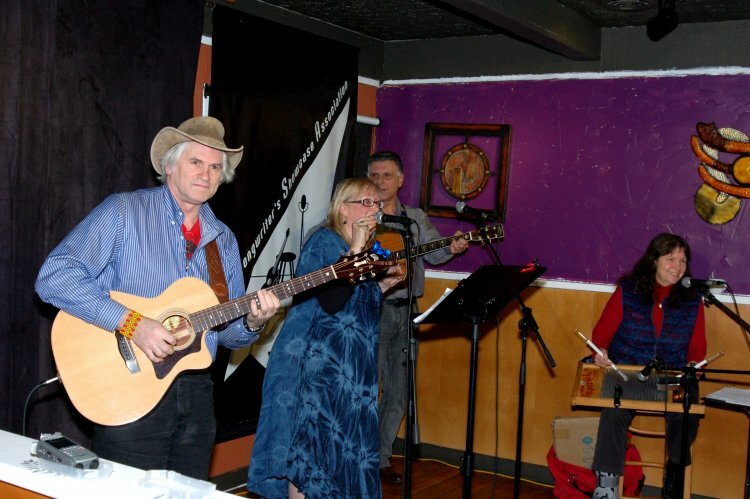 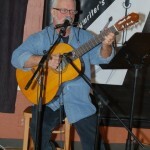 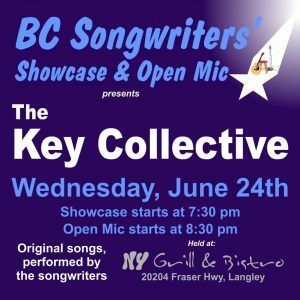 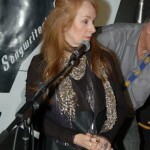 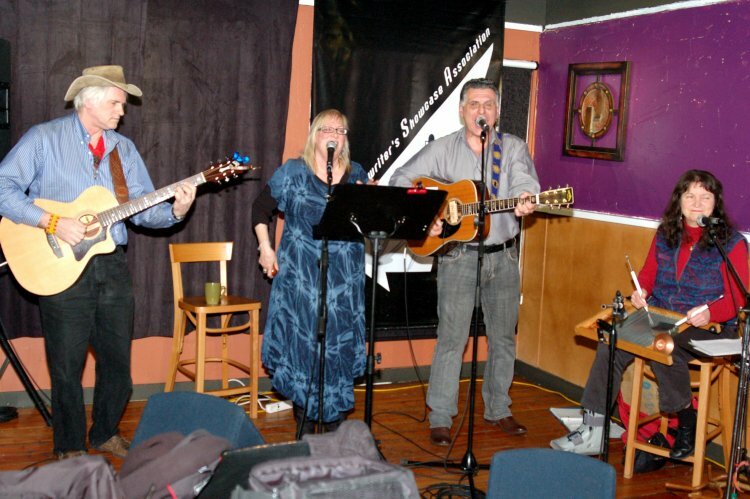 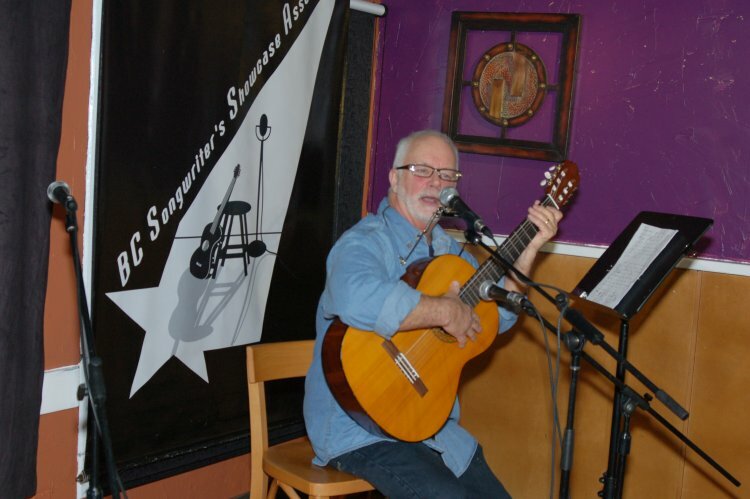 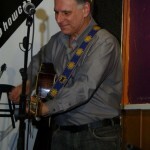 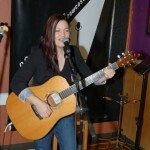 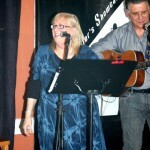 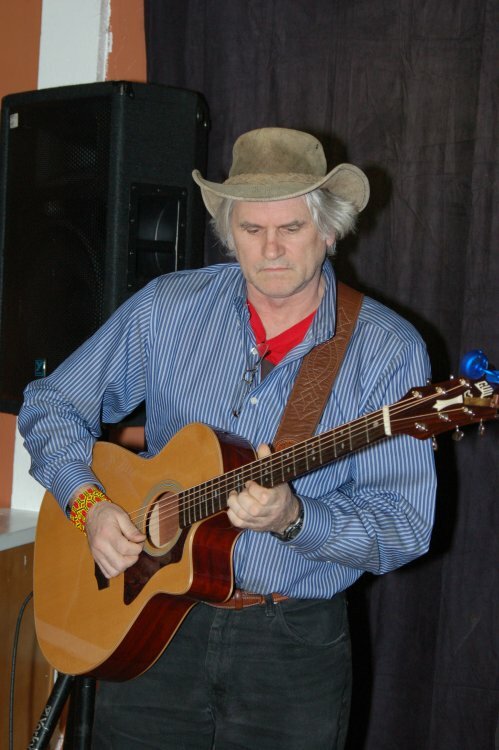 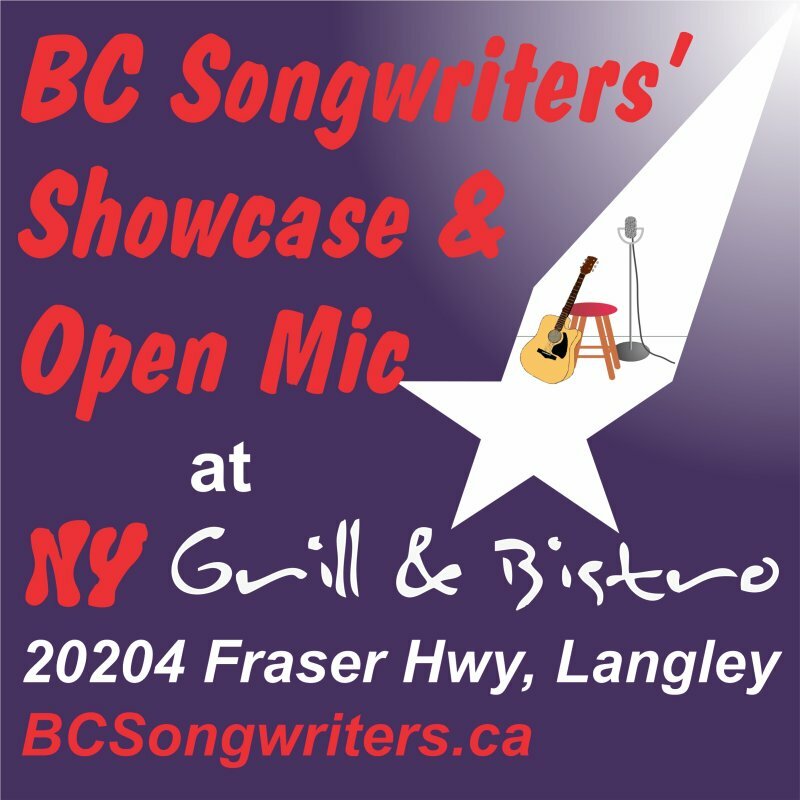 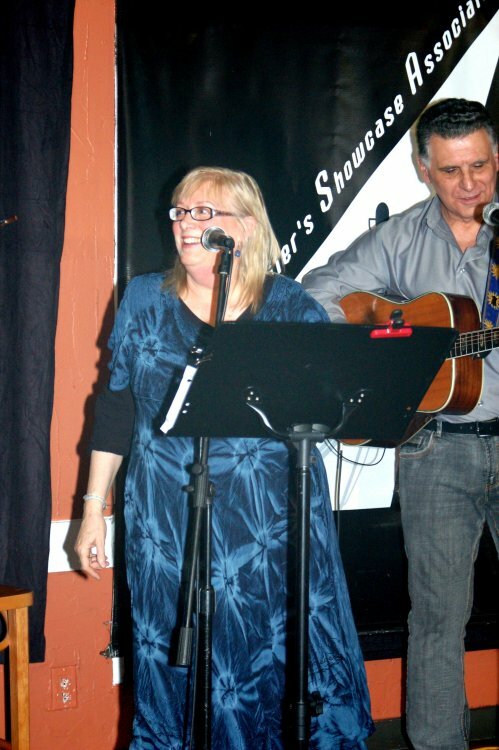 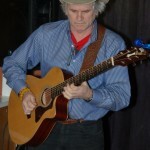 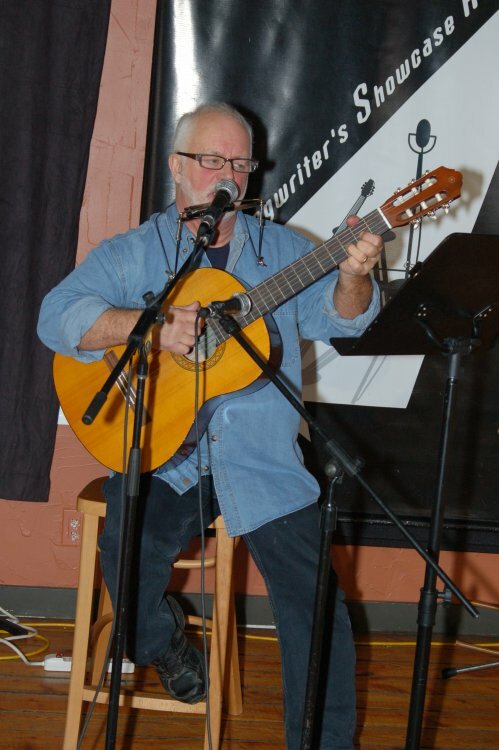 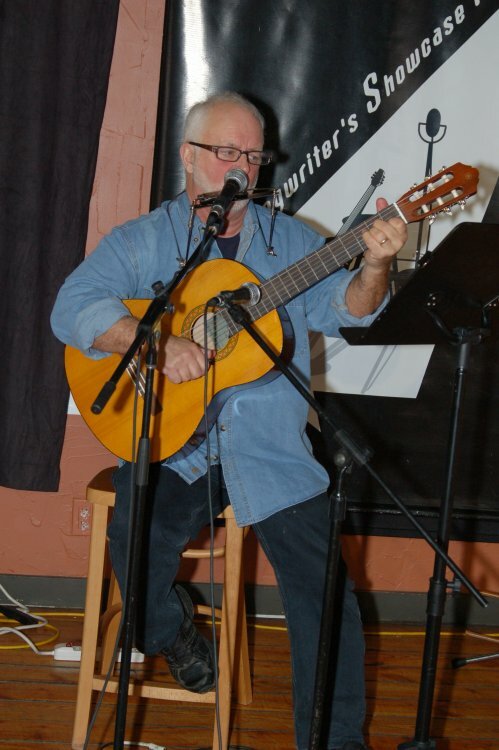 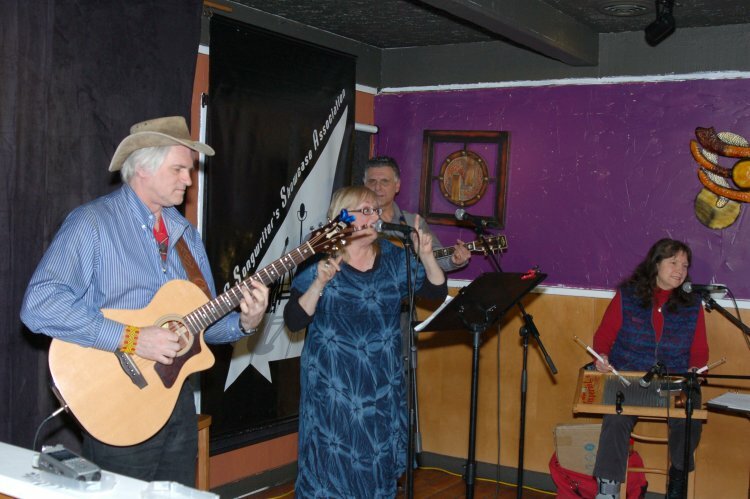 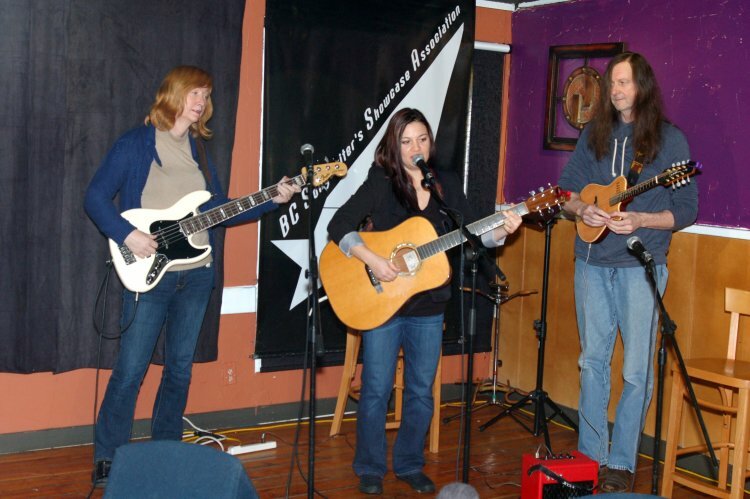 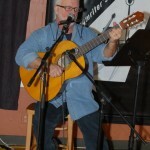 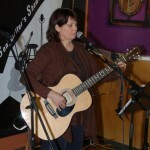 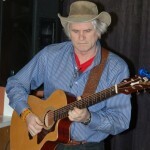 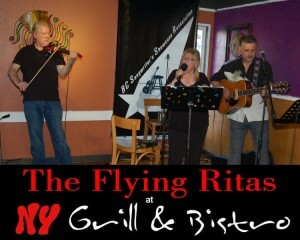 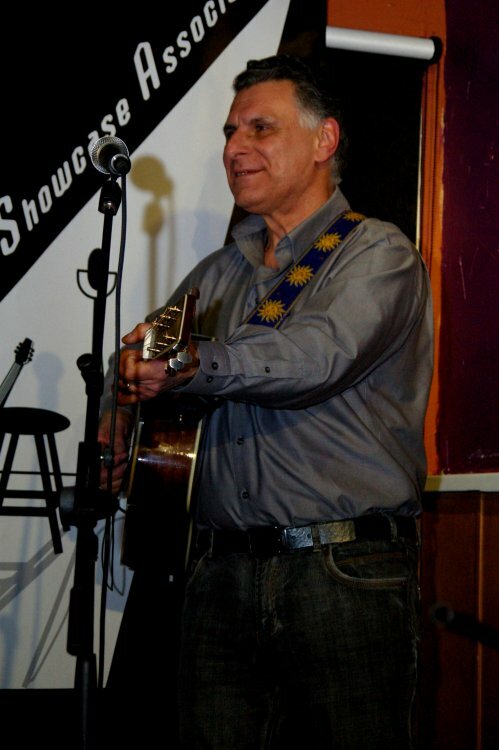 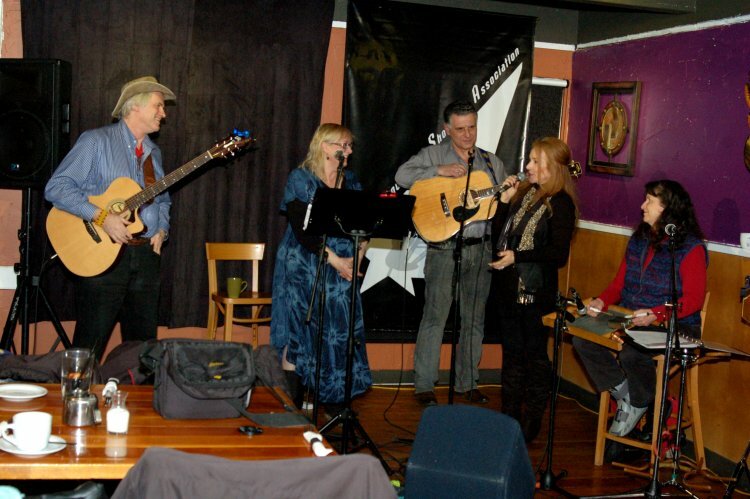 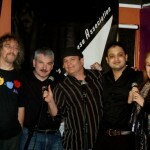 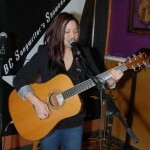 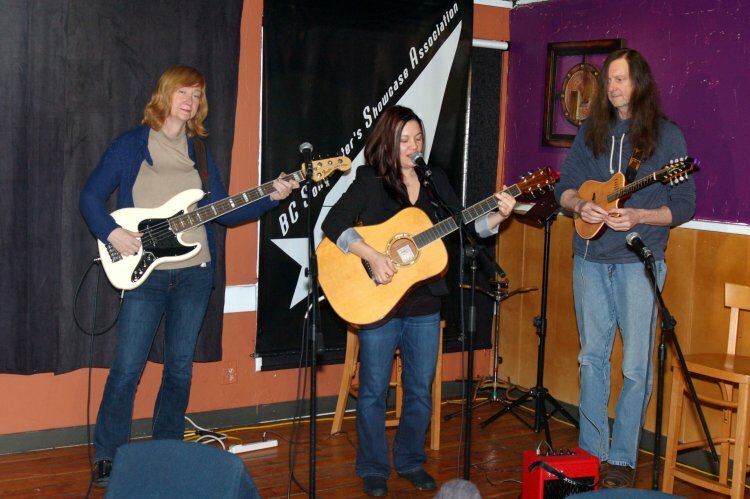 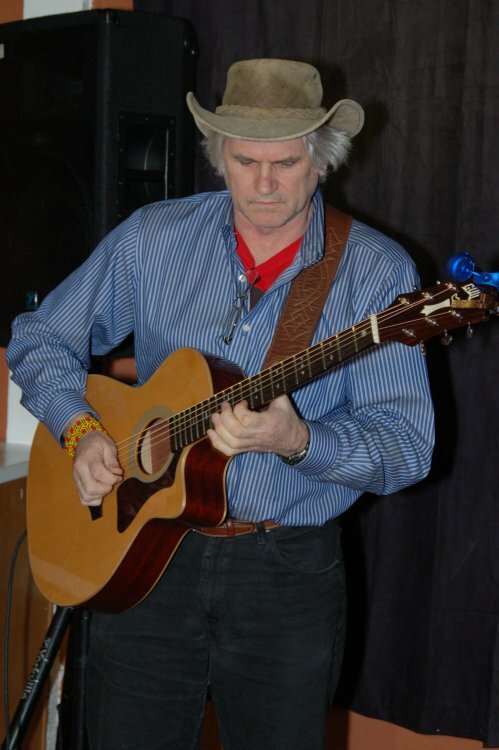 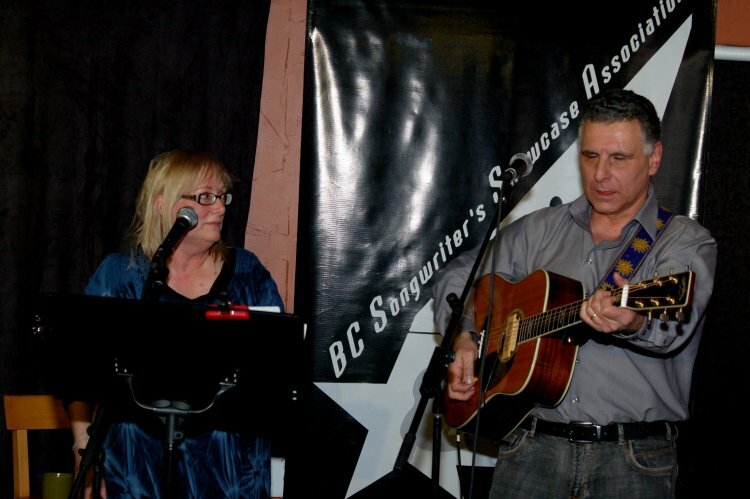 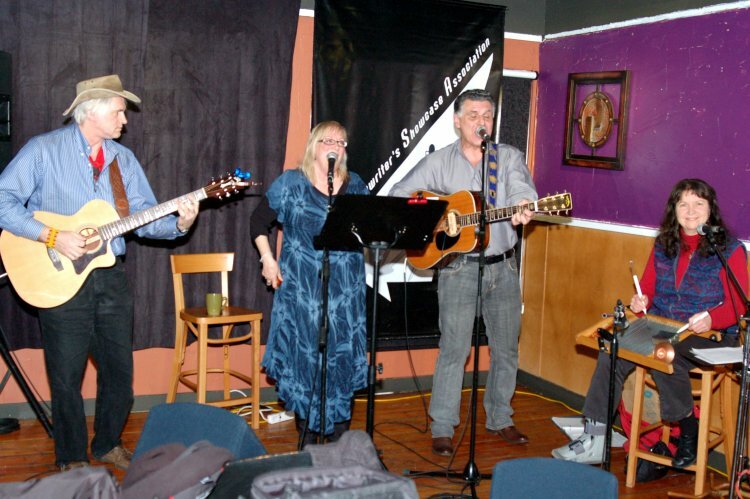 BC Songwriters’ Showcase & Open Mic are held at NY Grill & Bistro – 20204 Fraser Hwy., Langley. 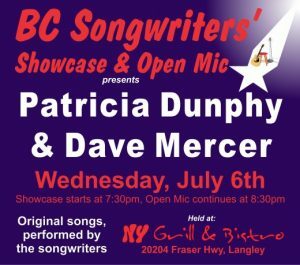 On Wednesday, July 6th, BC Songwriters’ Showcase features Patricia Dunphy & Dave Mercer, as they alternate tunes, starting at 7:30 pm. 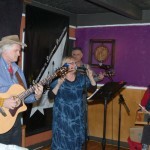 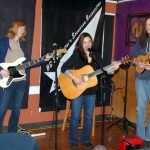 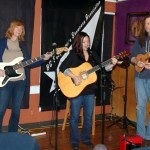 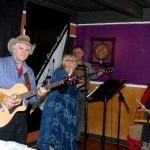 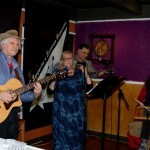 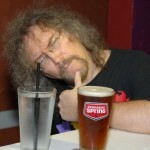 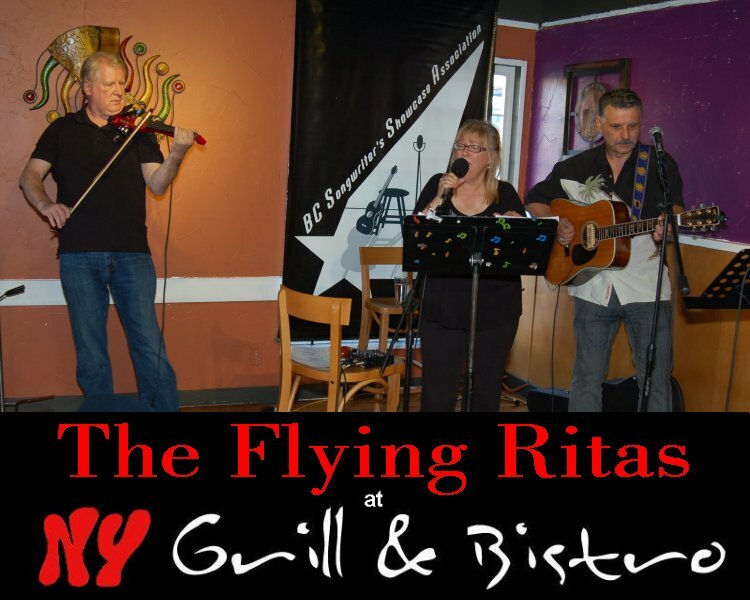 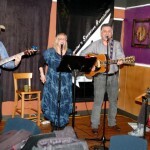 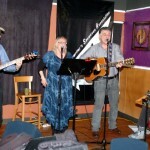 …alternating their original tunes, starting at 7:30 pm. 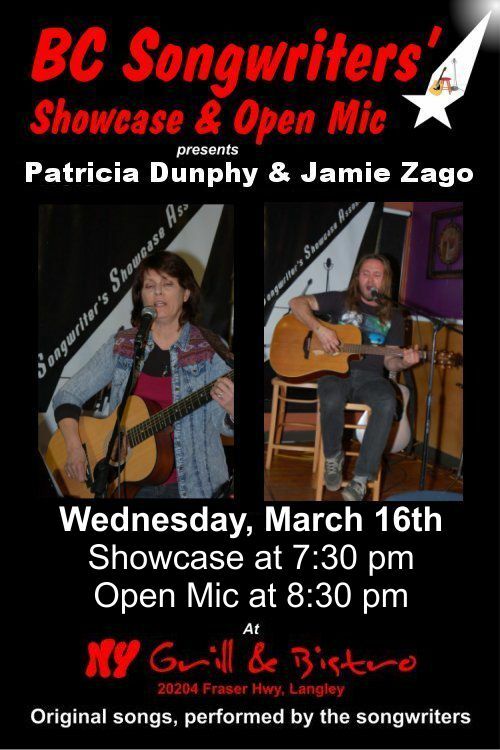 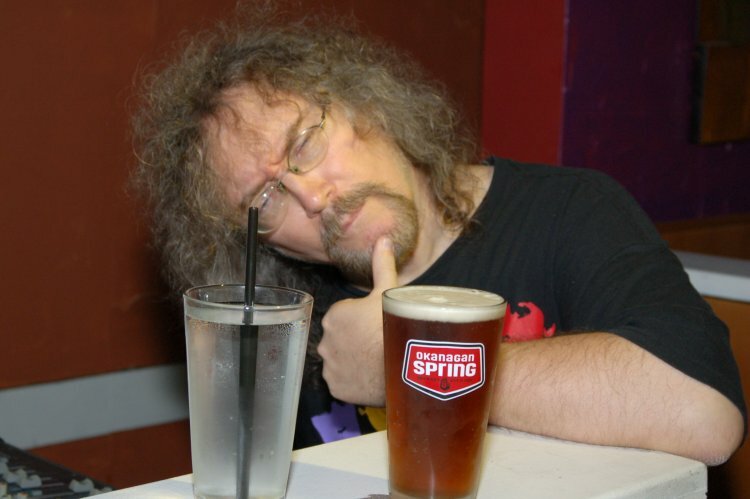 Open Mic starts at 8:30 pm. Put your name on the sign up sheet (in person only) as early as possible, to save any disappointments! 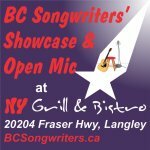 As always, the BC Songwriters’ Showcase & Open Mic are held at NY Grill & Bistro – 20204 Fraser Hwy, in Langley.